Koger Cosmetic Clinic & Medspa offers Kybella® for men and women in Palm Beach County, including West Palm Beach, Vero Beach, Wellington, and the surrounding areas of Florida. Kybella® is a one-of-a-kind dermal injection that is used to reduce the appearance of the dreaded double chin. Also known as submental fullness, the accumulation of fat underneath the chin can be difficult to get rid of without diet and exercise alone. Kybella® features deoxycholic acid, which is specially formulated to disintegrate and eliminate all that stubborn fat. The deoxycholic acid is fast acting and effective, so you can see an improvement in the contour of your face in as little as a few weeks. Kybella® is administered directly into the submental area using a thin needle. The procedure is usually considered virtually painless, though a numbing agent may be applied if desired. 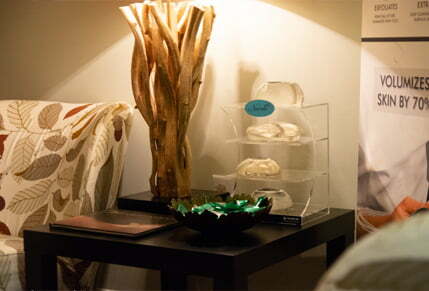 Multiple treatments are usually required to achieve the desired results. During your initial consultation, Dr. Koger will discuss how many treatments you will need. The sessions last about 15 to 20 minutes and require little to no recovery time. Patients who are in good general health, are not overweight, and have realistic expectations are ideal candidates for Kybella®. 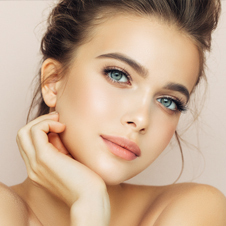 This treatment is especially beneficial for patients who do not have the money or time to dedicate to an extensive cosmetic surgery procedure. If you are unhappy with the accumulation of dietary fat under your chin, or submental fullness, Kybella® injections may be for you. Kybella® injections may require a slight recovery period depending on the number of injections received. However, at most, you will simply need to rest for the following day. Soreness and tenderness are common, but should subside within a few days. Full results are typically seen after a month and continue to improve for the next three to five months. The cost of Kybella® injections is based on several factors that are determined during the consultation. We can provide pricing and information about our financing options after the consultation. Dr. Koger is a board-certified plastic surgeon who offers Kybella® for residents of West Palm Beach, Vero Beach, Wellington, and the surrounding areas of Palm Beach County. Contact us to schedule a consultation.